Hello and welcome to our website. On it you can find our opening hours, how to contact a doctor or nurse when we are closed, and also some information about how to manage minor illness for yourself or your child. The team are here to provide all patients with a professional and caring healthcare service. We hope that you are happy with your care, but comments and suggestions for improvement are always welcome. You can fill in a slip and post it in the suggestions box in the waiting room, or make an appointment to discuss any issue with one of the GPs, or with the practice manager. 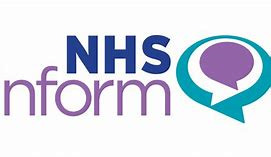 Looking for information regarding your health (www.nhsinform.scot). This is an excellent link that can help you. Great resource for information, things to think about before coming to your appointment or looking back on information.